As we move closer to the Youth Zone opening, there will be plenty of opportunity to get involved with this new facility. 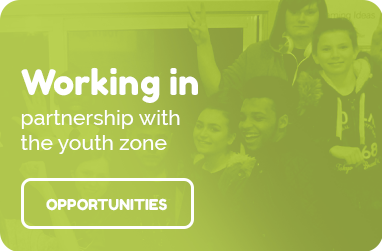 If you would like to be kept up to date with news about the Youth Zone please register your interest with us and we will be in touch shortly. Or fill in the contact form below and we will get in touch with you! Please keep me updated on Unitas Youth Zone news and updates by email, post, SMS, phone or other electronic means. Unitas Youth Zone will always treat your personal details with the utmost care and will never sell them to other companies for marketing purposes.